Manufacturer of a wide range of products which include ampoule filling machine, ampoule washing machine, ampoule sealing machine, single head ampoule filling machine, double head ampoule filling machine and four head ampoule filling machine. 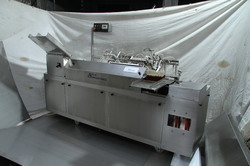 We are instrumental in offering Eight Head Ampoule Filling and Sealing Machine. 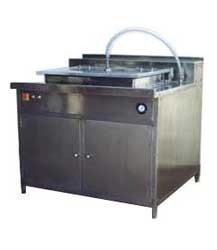 We are leading manufacturer, supplier and exporter of Ampoule Washing Machine. We are professionally managed business entity comprising of a team of professionals from different fields and expertise. The expertise gained over these years has emboldened the products to innovate & create custom built equipments. Easy to maintain and operate, these machines are extensively used in sealing and filling products like creams, lotions, gels, ointments, adhesives and food products. Further, we can also customize these as per the requirements of the clients. We are leading manufacturer, supplier and exporter of Ampoule Sealing Machine. We are professionally managed business entity comprising of a team of professionals from different fields and expertise. The expertise gained over these years has emboldened the products to innovate & create custom built equipments. 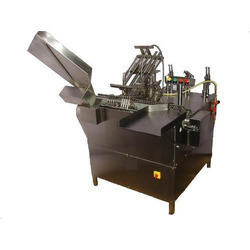 Easy to maintain and operate, these machines are extensively used in sealing and filling products like creams, lotions, gels, ointments, adhesives and food products. Further, we can also customize these as per the requirements of the clients. 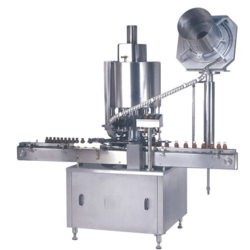 We are leading manufacturer, supplier and exporter of Single Head Ampoule Filling Machine. We are professionally managed business entity comprising of a team of professionals from different fields and expertise. The expertise gained over these years has emboldened the products to innovate & create custom built equipments. Easy to maintain and operate, these machines are extensively used in sealing and filling products like creams, lotions, gels, ointments, adhesives and food products. Further, we can also customize these as per the requirements of the clients. 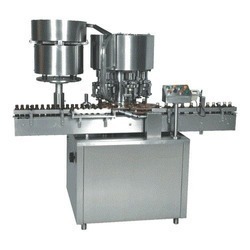 We are leading manufacturer, supplier and exporter of Double Head Ampoule Filling Machine. We are professionally managed business entity comprising of a team of professionals from different fields and expertise. The expertise gained over these years has emboldened the products to innovate & create custom built equipments. Easy to maintain and operate, these machines are extensively used in sealing and filling products like creams, lotions, gels, ointments, adhesives and food products. Further, we can also customize these as per the requirements of the clients. 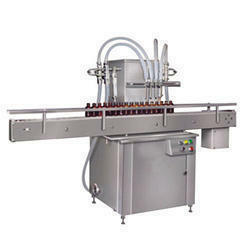 We are leading manufacturer, supplier and exporter of Four Head Ampoule Filling Machine. We are professionally managed business entity comprising of a team of professionals from different fields and expertise. The expertise gained over these years has emboldened the products to innovate & create custom built equipments. Easy to maintain and operate, these machines are extensively used in sealing and filling products like creams, lotions, gels, ointments, adhesives and food products. Further, we can also customize these as per the requirements of the clients. 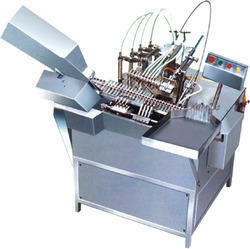 We are leading manufacturer, supplier and exporter of Vial Sealing Machine. We are professionally managed business entity comprising of a team of professionals from different fields and expertise. The expertise gained over these years has emboldened the products to innovate & create custom built equipments. Easy to maintain and operate, these machines are extensively used in sealing and filling products like creams, lotions, gels, ointments, adhesives and food products. Further, we can also customize these as per the requirements of the clients. We are leading manufacturer, supplier and exporter of Ropp Cap Sealing Machine. We are professionally managed business entity comprising of a team of professionals from different fields and expertise. The expertise gained over these years has emboldened the products to innovate & create custom built equipments. Easy to maintain and operate, these machines are extensively used in sealing and filling products like creams, lotions, gels, ointments, adhesives and food products. Further, we can also customize these as per the requirements of the clients.